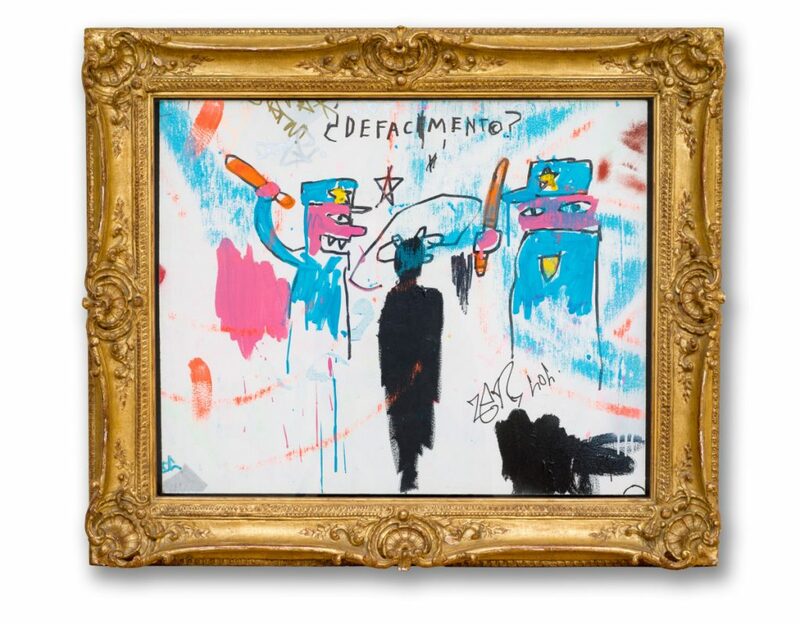 From June 21 to November 6, 2019, the Solomon R. Guggenheim Museum will present Basquiat’s “Defacement”: The Untold Story. This focused, thematic exhibition of work by Jean-Michel Basquiat (American, 1960–1988), supplemented with work by others of his generation, will explore a formative chapter in the artist’s career through the lens of his identity and the role of cultural activism in New York City during the early 1980s. Basquiat’s “Defacement”: The Untold Story is organized by guest curator Chaédria LaBouvier, in collaboration with Nancy Spector, Artistic Director and Jennifer and David Stockman Chief Curator, and Joan Young, Director of Curatorial Affairs. The exhibition takes as its starting point the painting Defacement (The Death of Michael Stewart), created by Basquiat in 1983 to commemorate the fate of the young, Black artist Michael Stewart at the hands of New York City transit police after allegedly tagging a wall in an East Village subway station. Originally painted on the wall of Keith Haring’s studio, Defacement was not meant to be seen widely and has rarely been exhibited in a public context. With approximately twenty paintings and works on paper by Basquiat and his contemporaries, this presentation around Defacement will examine Basquiat’s exploration of Black identity, his protest against police brutality, and his attempts to craft a singular aesthetic language of empowerment. The works on view by Basquiat will further illustrate his engagement with state authority as well as demonstrate his adaptation of crowns as symbols for the canonization of historical Black figures. Also featured will be archival material related to Stewart’s death, including diaries and protest posters, along with samples of artwork from Stewart’s estate. Paintings and prints made by other artists in response to Stewart’s death and the subsequent criminal trial of the police officers charged in his killing to be presented include Haring’s Michael Stewart—U.S.A. for Africa (1985); Andy Warhol’s screenprinted “headline” paintings from 1983 incorporating a New York Daily News article on Stewart’s death; David Hammons’s stenciled print titled The Man Nobody Killed (1986), and Lyle Ashton Harris’s photographic portrait Saint Michael Stewart (1994), all of which are testaments to the solidarity among artists at the time and the years following. An illustrated publication with an introduction by the exhibition’s curators and essays by Chaédria LaBouvier and art historian J. Faith Almiron will present new scholarship on Basquiat and the burgeoning East Village art scene during the early 1980s, an era marked by the rise of the art market, the AIDS crisis and the activism it engendered, and persistent racial tensions in the city. The essays will be supplemented by brief interviews with several key activists, critics, artists, lawyers, and journalists who were directly involved in the aftermath of Stewart’s death.